Once a year an African country hosts a congress for AFSTA, the African Seed Trade Association, inviting members and key stakeholders to discuss global seed issues, network and discover investment opportunities. This year Kenya hosted the event in Mombasa where 430 delegates congregated at the Pride Inn Hotel for three days. Attendees came from over 45 countries worldwide, representing Seed trade bodies, Commercial seed companies, NGOs, Parastatals and Governments. 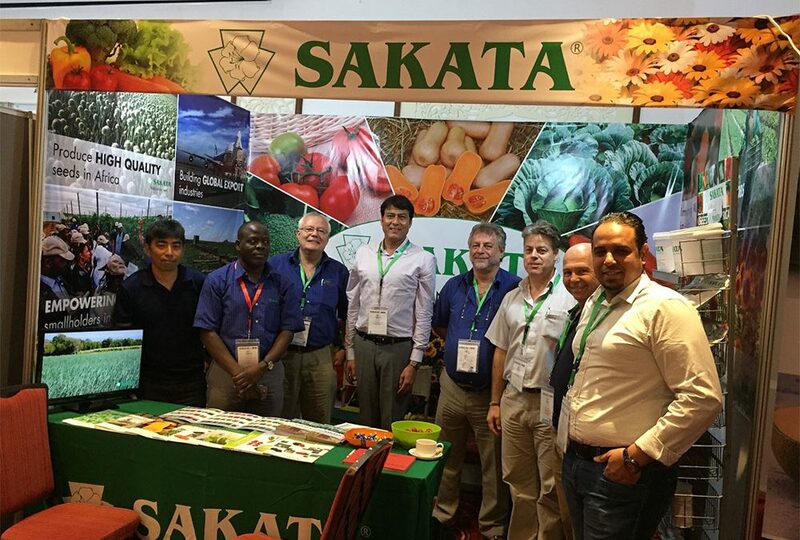 Sakata Seeds supported the event by taking a corporate booth where the team could meet customers and show off their range of vegetables for the African markets. The Sakata team consisted of Lindsay Campleman, MD of SAF, Angus Douglas-Hamilton and James Opere from SAF-East African region, Mark Sachs from SAF-Southern African region, Vicente Celada from SVE-West African region, Abdelaziz Ahlafi from SVE- North African region, Dr Jai Singh – CEO SID and Kairi Oyukama, General Manager from SID. During the Gala dinner Sakata was delighted to receive the 2nd prize for Best Exhibition booth. The event successfully provided an excellent platform to remain up to date with continental seed developments and created new potential business partnerships. There will be a busy period after the event where delegates follow up on action plans to get full benefit from the meetings convened.